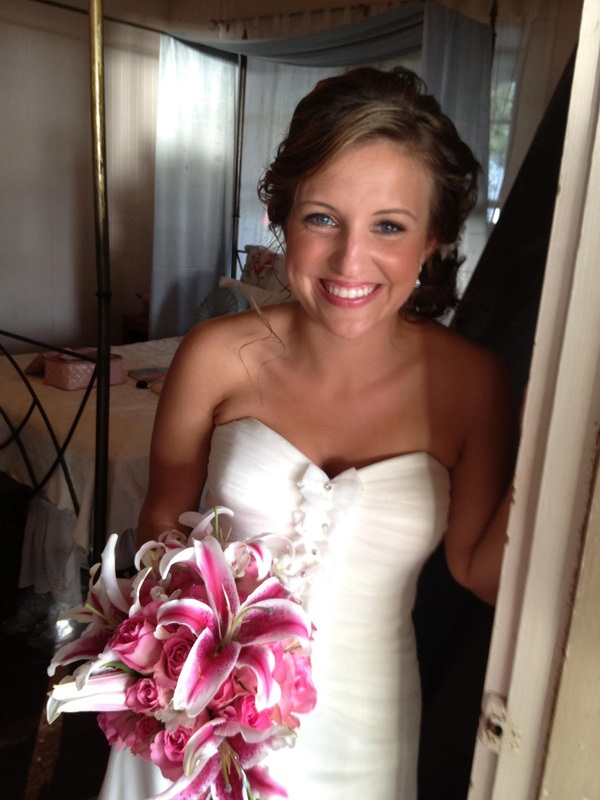 Close up of Jenny's bridal bouquet. The coral gloriosa lilies in this bouquet by Dellables Floral Wedding Design were just amazing. I love the textures of all the different floral elements too. Beautiful Della! — at Olowalu Plantation House. with Dario Benvenuti Living on island working with Dellables, amazing bouquets are appearing everywhere! When Dellables works with The Perfect Wedding Maui, magic happens! I had the great pleasure of coordinating Lyn & Steffen’s wedding this June. What a sweet, easy going couple they are. 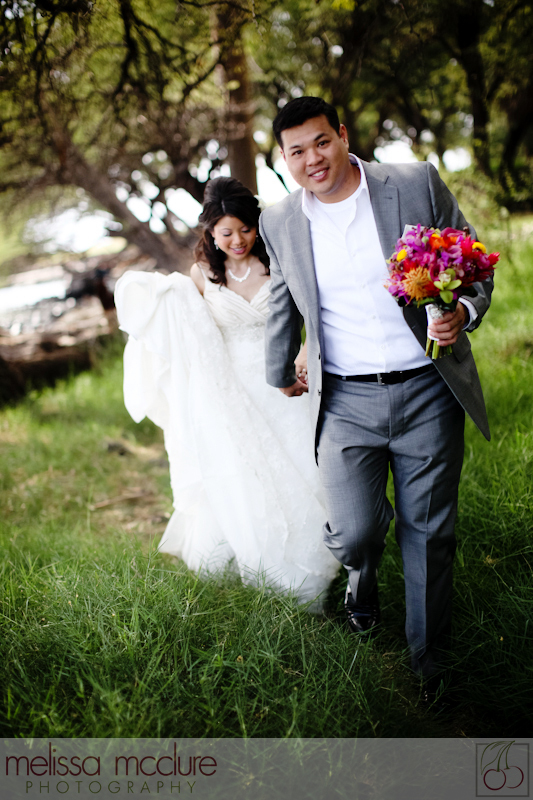 Lyn & Steffen chose the Olowalu Plantation House for their wedding and reception location. They prepared their own vows to each other for their wedding ceremony performed by Pia Aluli. Lyn made a stunning bride and Steffen a handsome groom. Lyn carried a bouquet of orange flowers wrapped with aqua ribbon. 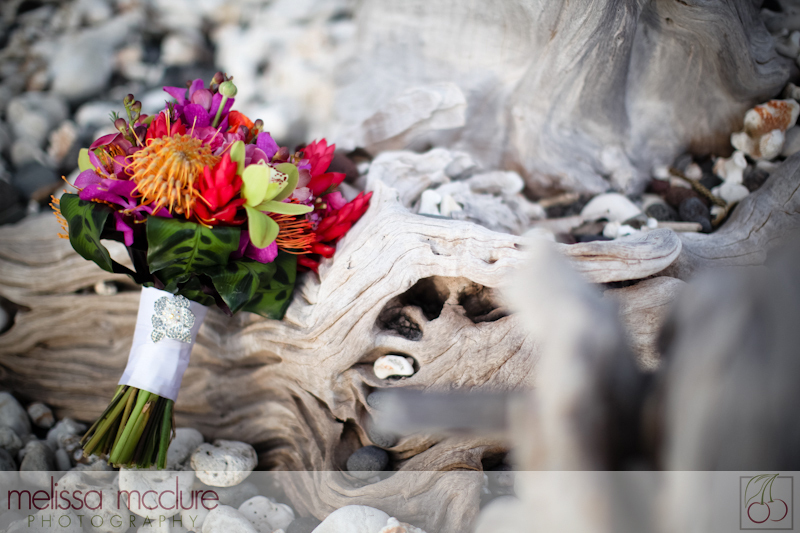 Florist Della took a risk and wrapped the bouquet with a funky ribbon with beads on it instead of your traditional style wedding ribbon…and by Della ESP, the beads on the bouquet wrap mimicked the look of the beads on Lyn’s necklace! How does she do that? Just another example of why we love Della so much. The couple “cracked the creme brulee” instead of cutting a wedding cake and had adorable, custom “cake toppers” made by one of their friends. A hand-painted thumbprint tree, also made by a special guest, was absolutely beautiful. 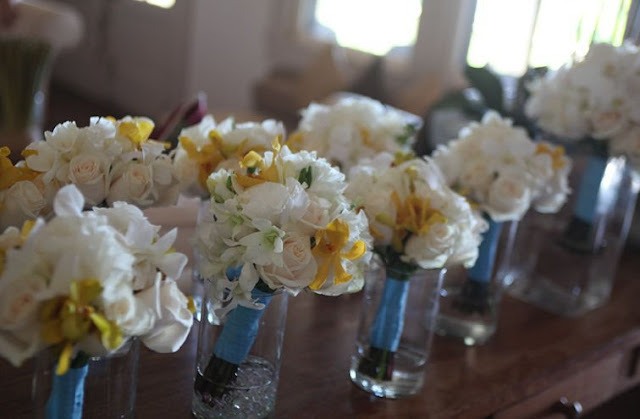 Lots of little touches were evident at this wedding making it truly their own. Many of Steffen’s family were able to attend from Denmark and brought with them some wedding traditions that we don’t typically see in the US. For instance, after the first dance, the Danish wedding guests surrounded the couple, pulled of Steffen’s shoe and cut off the top of his sock! (I haven’t seen that before) They then gave this to Lyn…the explanation was a bit vague, but had something to do with beginning her home-making skills with repairing his sock! Later in the evening, all of the female guests kissed Steffen, followed by all of the male guests kissing Lyn! And it wouldn’t be a Danish wedding without some merriment and song singing. Custom lyrics to an original wedding song were passed out for all of the guests to serenade the newlyweds. It was a joyful, memorable night. Congratulation Lyn & Steffen! 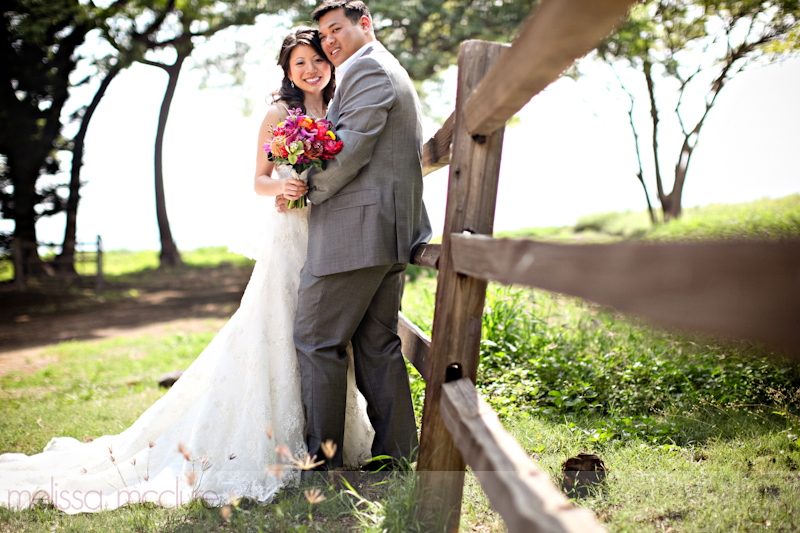 Mahalo to the following vendors for their assistance in making this such a special day for Lyn & Steffen. 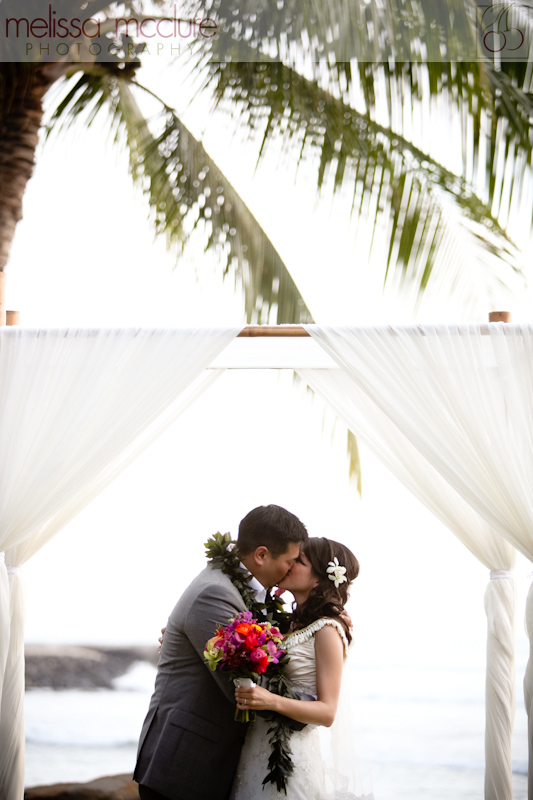 Many, many thanks for both Cherise at The Perfect Maui Wedding for Coordinating and of course to Melissa at Melissa McClure Photography for capturing our art with her own! ... and to Jen and Clayton, for being so photogenic! 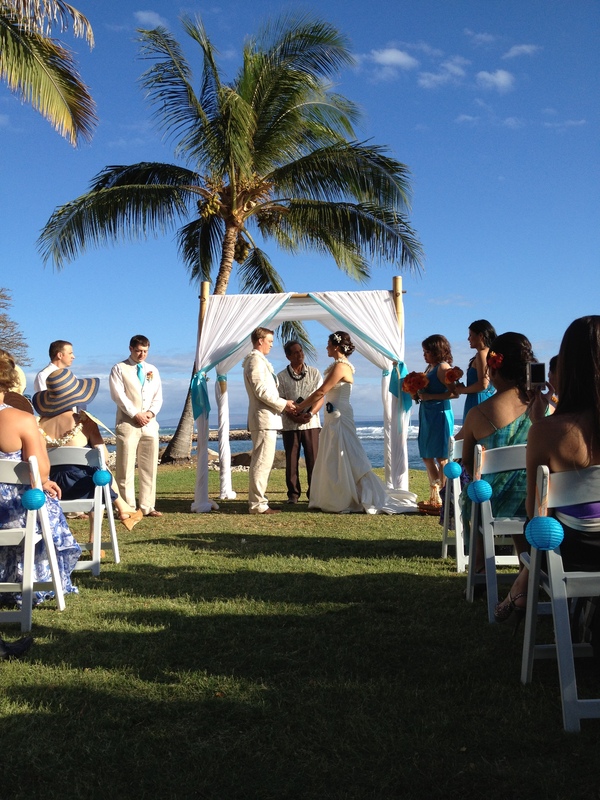 at The Perfect Maui Wedding! When you see a Bride this happy you feel good. You feel like smiling, or beaming, just like her. A picture can capture the magic, but the magic takes a team to produce successfully. Tami had her Star Team beginning with Cherise as Coordinator and Owner of The Perfect Wedding Maui. She worked with Tami extensively to get all the vendors together and coordinated. Photography is, as you would expect, a critical part of preserving the magic, keeping it alive in our memories long past when we might lose a small detail here or there. Melissa McClure Owner of Melissa McClure Photography used her instruments of pixelation and capture as well as that famous artistic eye to bring us moments, slices of time, that we can enjoy now and along with the grand kids many years out! Wedding Design and Florals flesh out the moment by moving the Bride's vision from dream to physical, taking her ideas and creating manifestations everyone can see and feel, and smell! Della, Owner of Dellables Wedding Design and Florals, put her heart into the details, working directly with Tami to get it just right. Catering by Food For the Soul, Minister, Rev Laki Ka'ahumanu, Make Up and Hair by Dan Sanchez and Jessica. I may have missed something, and if I did, check out Tami's Project Wedding site for ALL the details.